When you connect a drive to Windows, you need to choose between Master Boot Record (MBR) or GUID Partition Table (GPT). These are methods that hold information about how the data is stored on the drive. But how do you know which one to use? We’re going to look at the differences between MBR and GPT, along with assessing which is the best for your SSD. While GPT is more modern and has more advantages, there are some unique situations where you need MBR. Simply put, partitions are sections on the drive that store data How to Manage Hard Drive Partitions and Volumes in Windows 10 How to Manage Hard Drive Partitions and Volumes in Windows 10 Is Windows slow and running out of storage space? Or do you want to re-allocate space? We'll show you how to use Windows 10's partition manager. Read More . You always need at least one partition on a drive, or else you can’t save anything. Although you might only have one physical drive, you can use partitions to split it up, and assign a different drive letter to each partition. MBR only lets you create four primary partitions. However, you can circumvent this limitation by using logical partitions. This means that you can create three primary partitions, plus an extended partition. Inside this extended partition, you can have logical partitions. The biggest limitation with this is that you cannot use logical partitions as boot volumes, which is a type of partition that holds Windows operating system files. For example, you could have Windows 10 on one partition and Windows 7 on another. For most people this won’t be a problem, unless you want to boot multiple operating systems from the same drive. GPT doesn’t have the same limitation. You can create up to 128 partitions on a single GPT drive, without needing to use the logical partition workaround. The 128 limit is dictated by Windows (other operating systems allow for more), but it’s unlikely that you’ll ever be in a situation where you reach that number. In short: MBR can have four primary partitions; GPT can have 128. Solid state drives are still vastly more expensive when compared against their hard disk drive counterparts. But the price gap is closing over time, and so is the capacity available for consumer SSDs. If you’ve got some cash to spare, you might have a 4TB SSD. The capacity of the drive will dictate your decision of MBR or GPT, as they have different limits. The technicalities behind it are tricky, but MBR is constrained by the capacity and limited number of its sectors—only 32 bits are available to represent logical sectors. You can find out more on Microsoft’s TechNet blog, but it means that MBR can only use up to 2TB of storage space. Anything larger than that, and the extra disk space is marked as unallocated and unusable. GPT allows for 64 bits, which means that the storage limitation is 9.4ZB. That’s a zettabyte, which is one sextillion bytes or a trillion gigabytes. In practice, what it really means is that GPT has no real-world limit. You can buy any capacity drive and GPT will be able to use all of the space. In short: MBR can support up to 2TB; GPT handles up to 9.4ZB. MBR stores all the partition and boot data in a single place. This means that if anything gets corrupted, you’ll run into a problem. If any data gets corrupted with MBR, chances are you’ll only find out when your system fails to boot. Recovery from MBR How to Fix the Master Boot Record in Windows 10 How to Fix the Master Boot Record in Windows 10 The Master Boot Record can become corrupt, damaged, or simply disappear. Here are the fixes you can attempt to revive your system. Read More is possible, but not always successful. GPT is far superior in that it stores multiple copies of the boot data across several partitions, at the beginning and end of the table headers. If one partition gets corrupted, it can use the other partitions to recover. Additionally, GPT has error-detecting code that will assess the partition tables on boot and see if there’s anything wrong with them. If it detects errors, GPT can try to repair itself. In short: GPT is more resilient to errors. BIOS and UEFI are interfaces that boot your machine Discover Your BIOS & Learn How to Make the Most of It Discover Your BIOS & Learn How to Make the Most of It What the heck is the BIOS, anyway? Is it really that important to know? We think so and fortunately it's pretty easy. Let us introduce you. Read More . While they both serve the same purpose, they are different. BIOS is older (it’s been around since the 80s) and any new system purchased since 2010 will very likely use UEFI. 64-bit Windows 10, 8/8.1, 7, and Vista all require a UEFI-based system to boot from a GPT drive. 32-bit Windows 10 and 8/8.1 require a UEFI-based system to boot from a GPT drive. 32-bit Windows 7 and Vista cannot boot from a GPT drive. All mentioned Windows versions can read from and write to a GPT drive. In short: MBR is good for older operating systems; GPT is more suitable for modern computers. MBR vs. GPT: Which Is Best? To cut to the chase, GPT is best. It’s a must-have if your drive is more than 2TB, though that might not be the case with an SSD. Nevertheless, GPT is more corruption-resilient and has better partition management. It’s the newer and more reliable standard. SSDs work differently than an HDD How Do Solid-State Drives Work? How Do Solid-State Drives Work? 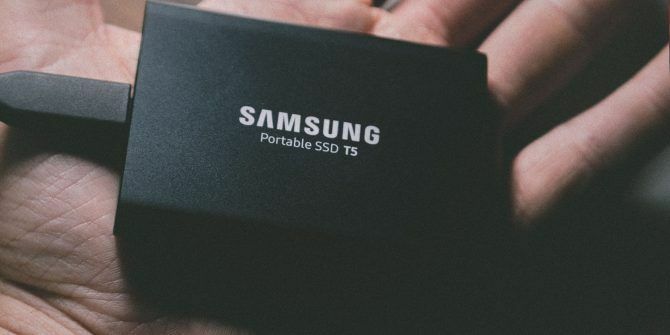 In this article, you'll learn exactly what SSDs are, how SSDs actually work and operate, why SSDs are so useful, and the one major downside to SSDs. Read More , with one of the main advantages being that they can boot Windows very quickly. While MBR and GPT both serve you well here, you’ll need a UEFI-based system to take advantage of those speeds anyway. As such, GPT makes for the more logical choice based on compatibility. When should you use MBR, then? Really, only if you want to run old operating systems. The standard user will likely have no desire to do this, especially since SSDs are better suited to current operating systems like Windows 10. Using a SSD on Windows XP, for example, will significantly reduce the drive’s lifespan and performance due to lack of support for a feature called TRIM. If you want to see whether your existing uses MBR or GPT, it’s easy. Press Windows key + X and click Disk Management. Find the drive in the bottom pane, right-clickit, and click Properties. Switch to the Volumes tab. Next to Partition style you’ll see either Master Boot Record (MBR) or GUID Partition Table (GPT). If you’ve set your drive to use MBR and want to use GPT, don’t fear. There are tools you can use to switch your partition table without losing any data. 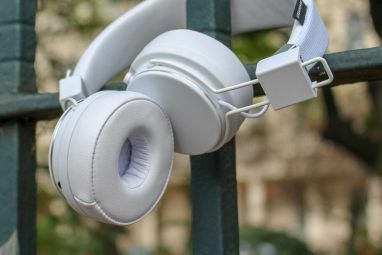 Not only are they free, but they’re also really easy to use. For help on how to do this, check out our guide on how to convert MBR to GPT without data loss How to Convert MBR to GPT Without Losing Data in Windows How to Convert MBR to GPT Without Losing Data in Windows There are two easy ways to convert MBR to GPT without losing a scrap of data. In this tutorial, we cover both methods. Read More . Explore more about: BIOS, Disk Partition, Solid State Drive, UEFI, Windows 10.